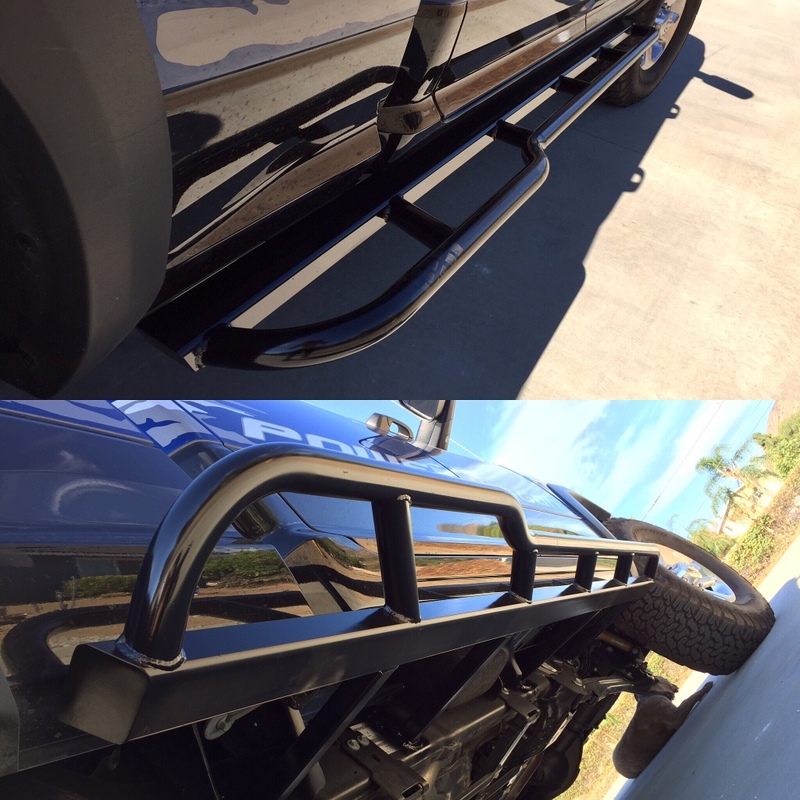 Forgot to post up some pics for Marcus/DamageWagon of how the sliders mount to the frame. I opted for weld on. I'm not so crazy about how the WK sliders clamp onto the frame, and don't see myself getting rid of this truck anytime soon so weld on was a non issue. There's a plate welded to the frame, then the square tube and gusset welded to that. Little hard to see, I snapped the pics while airing up yesterday after hitting the snow. My friend that built them did another set slightly different for another friends 2500 CTD, a tad wider and longer kick out, he went bolt on. Thanks Eddie! Your friend does slick work. Beautiful welds. I like how it mounts to the frame. That's nuts. I'm not crazy about weld on for one reason, you F those up and you're going to have lots of fun removing them. And you aren't removing them in the field, that's for certain. The clamp on works well enough to hold the truck up with a jack. I've done. No problem man, sorry it took so long to get you pics. Freeway bumper car proof is important! 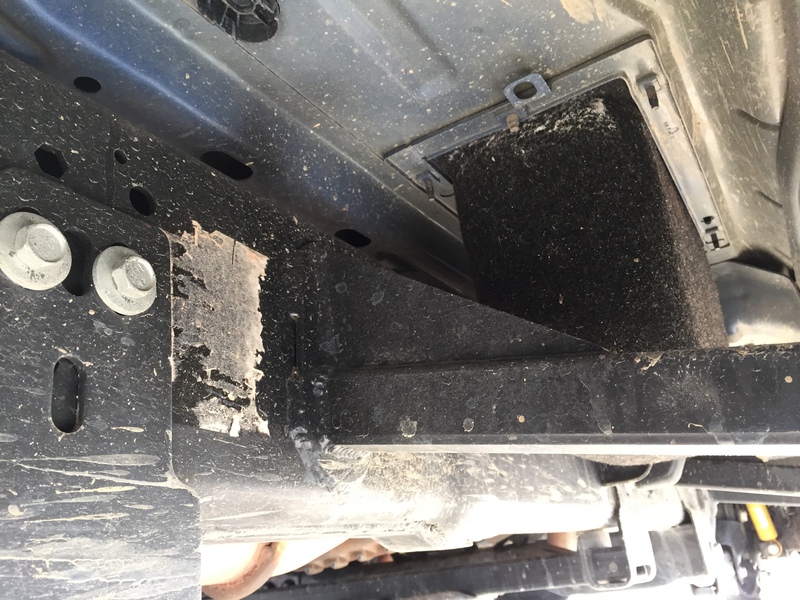 Mine do a great job defending against door dings, been sitting in the truck as a lady swung her car door full force into the slider. Looking forward to seeing how yours come out! My friend Tommy has his own shop he works out of in Simi, plasma table, bender, break etc, and plenty of cool ideas. 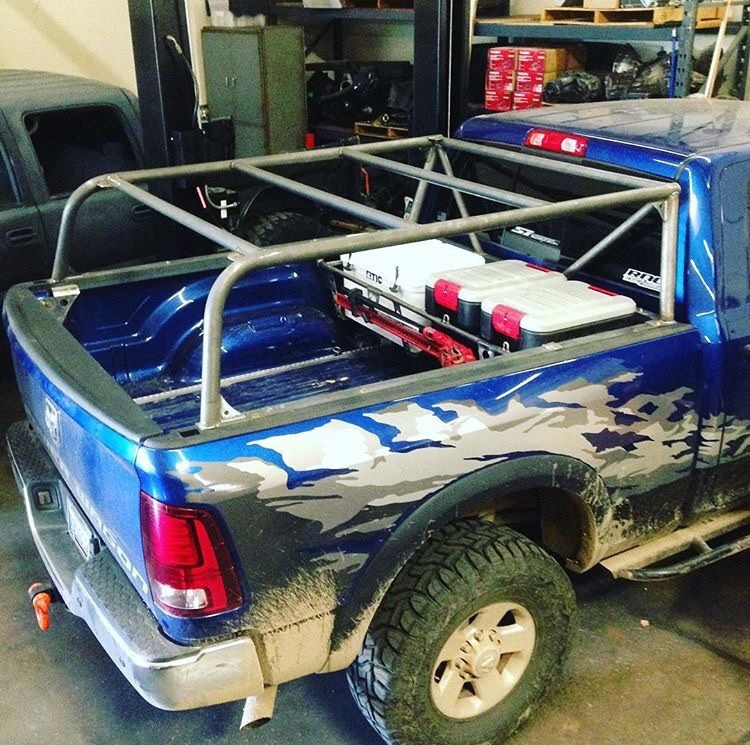 Here's a couple pics of his supercharged Tacoma he built. RTT and spare lift up 1 handed with a couple of gas struts to access a big storage box. 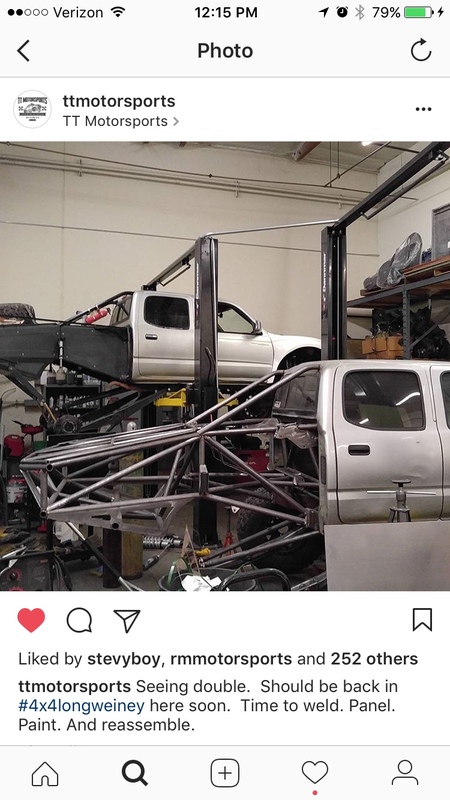 His truck on the lift in the background and another he's building, identical layout as his but will be a 4x4 version. No problem dude, it was kind of on the back burner until this week. Time is running out to get my things done so I had to get on it. I decided to make them a little different just because I can. Everyone's sliders look like, or are, WK's. Mainly because it's a great design and there's not really another way to do it haha. Part of my design came from material... My DOM came as 18' sticks, and it takes exactly 9' to do a side, so no lockouts. Holy crap that RTT lift is awesome. That is a sweet design. MikeKey wrote: That's nuts. I'm not crazy about weld on for one reason, you F those up and you're going to have lots of fun removing them. And you aren't removing them in the field, that's for certain. The clamp on works well enough to hold the truck up with a jack. I've done. Totally agree. 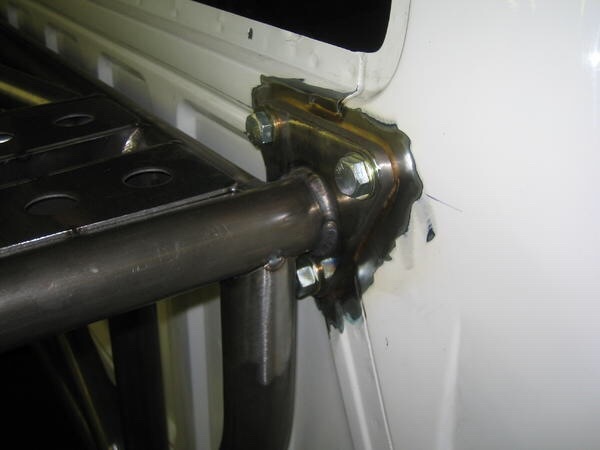 I was going to do weld on because it is way simpler on these trucks, but ended up taking WK's bolt on method. I didn't want to bend the crap out of a slider and have to hammer it back or cut the mounts off to repair it. The sliders on these trucks are just awkward to get right. I'm honestly not worried about mangling these on here, they're plenty stout for my intended use (.188 and .250 wall tube). 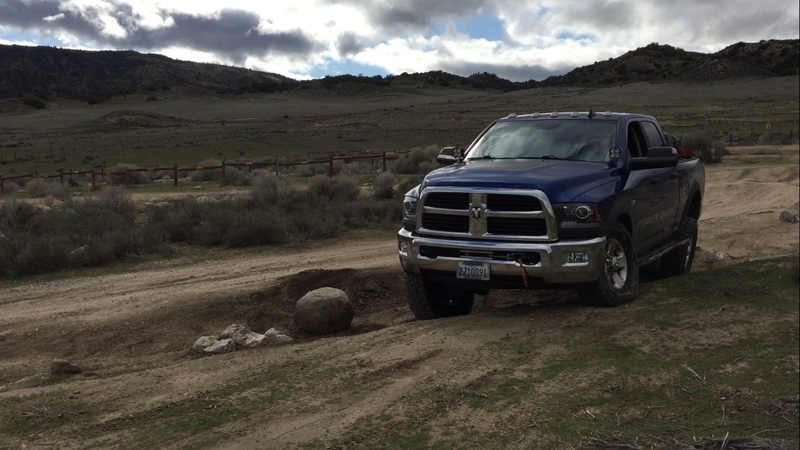 I don't plan to drag this thing through the hammers or along the dusy trail. If I were to damage a slider off road to the point I'd consider a field removal, I'd have much bigger problems on my hands. Only scenario I see these things getting so damaged I'd consider removal is a really nasty trail mishap or getting T-boned on the road. In either situation the sliders aren't my biggest problem. Bolt on is a ok, in most cases I prefer bolt on. 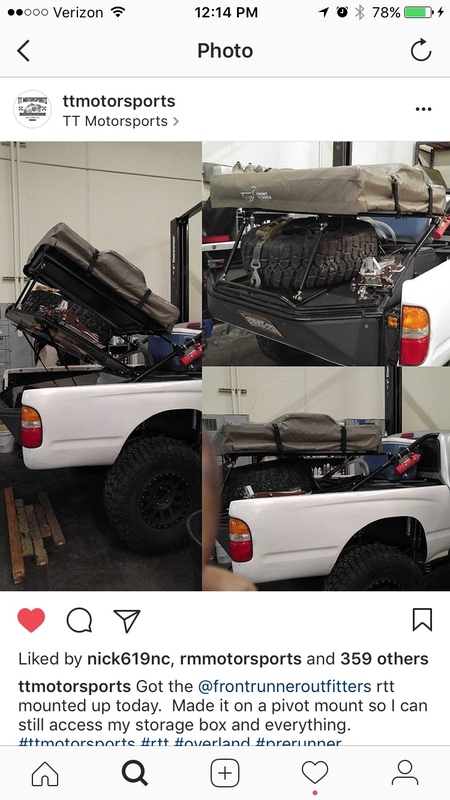 My entire prerunner is built that way, all modular. 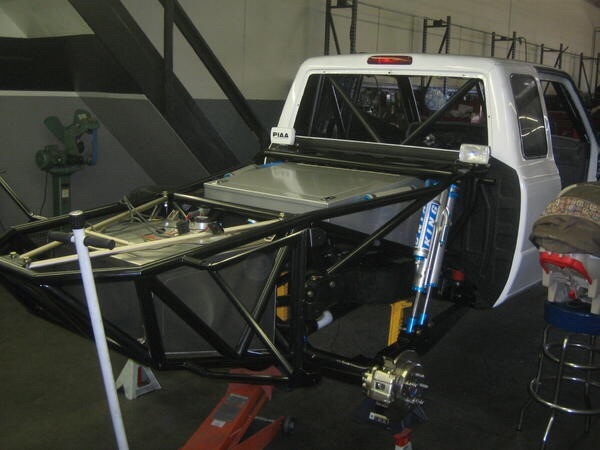 If it's rolled or otherwise damaged, the cab (with roll cage inside of it) can be removed, as can the entire back half, fuel cell mount, and all suspension components. In this application I personally like weld on better. Kind of hard to see, but if you zoom in here, all points where the rear cage work lands on the frame are bolted on rather than welded. Same for the cab, and engine cage. I really like your tent rack. I need to get a welder and learn. Thanks! It's actually borrowed from a friend, same guy that did the sliders. He said he built this thing in under an hour, out of spare material, some angle iron and a couple of pieces of tubing. I like that it's nice and low so the tent isn't a parachute, but boy it is a pain to get anything out from the middle of the bed - forward. I've fiddled with a welder in the past but wouldn't trust my own welding for anything more than a fence lol. Lots of respect for the guys that make it look so effortless! How are you liking the XL80's? Still like the A Pillar mount locations? Loving them so far, no regrets about the a pillar mounts. 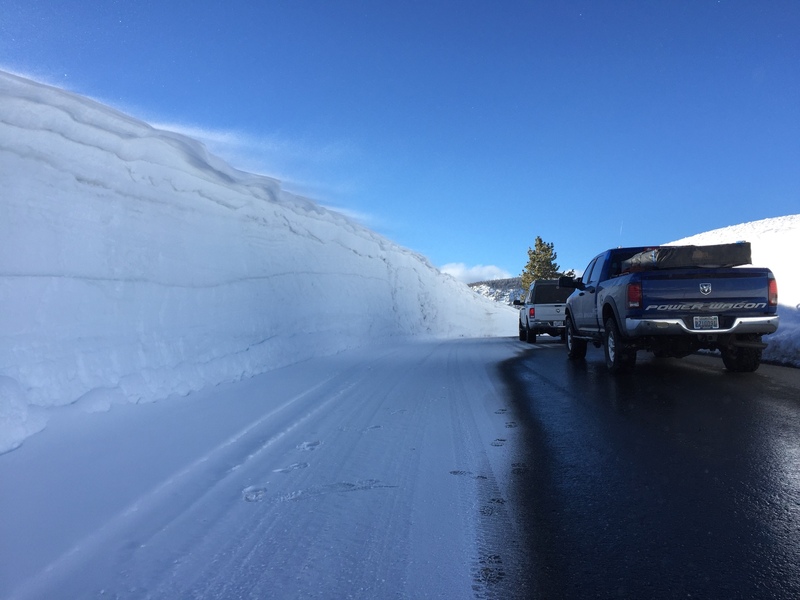 Only thing I may change farther down the road is the beam pattern. It's plenty of light, but I'm planning to add a couple of standard squadrons down in the bumper (likely going with the BD fog kit). With that added light down low filling in the foreground, the a pillar lights can be used for more distance. yellowranger1 wrote: Last week my friend knocked out a set of sliders for the truck. I really liked the white knuckles but am not crazy about the way they bolt onto the frame. I wanted something similar, but chose to go with weld on instead. I was kind of torn between paint or line x, ended up going with paint for now. 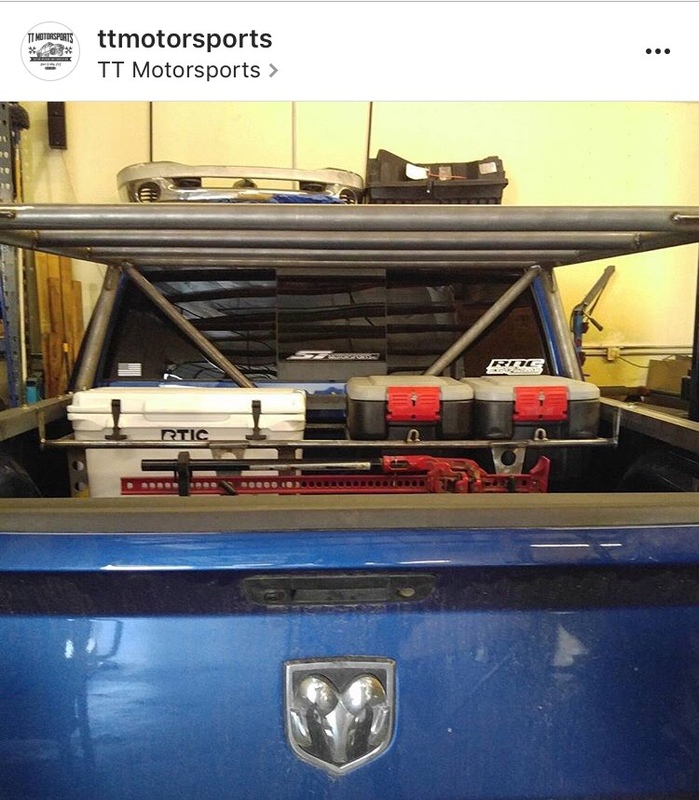 I think the next big change in store for the truck may be removing the graphics or finally getting around to installing the a pillar light brackets. Just need a free weekend so I can take my time with it. I forgot mention, those are freaking beautiful. yellowranger1 wrote: Just for fun, here is a side by side comparison of the 35" RT (pw aluminum wheel)/37"ko2 (pw aluminum wheel)/37" MTR (pw steel spare wheel) all are unused spres, so they are full tread depth. 37" mtr pw oem steel spare 40psi - 37. 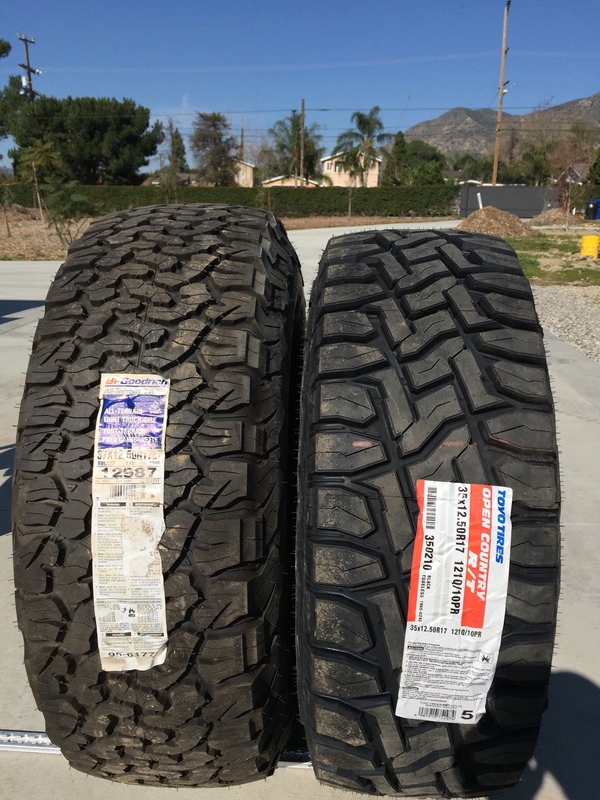 1/4"
35" RT pw oem where 40psi - 34 1/2"
I'd like to see a 37x13.5R17 Toyo MT next to the MTR. That MTR is surprisingly tall. 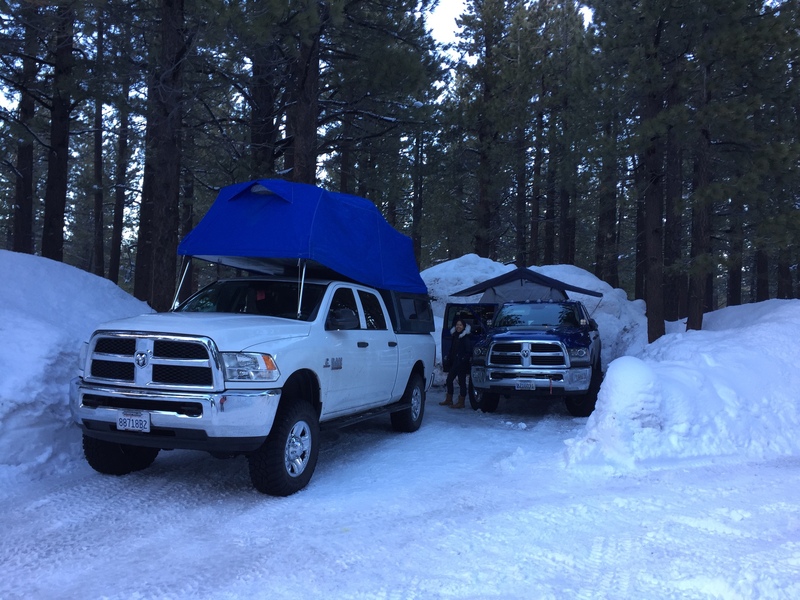 @reloderguy - the Goodyear are very tall, my dad runs them on his Rubicon, I had borrowed his spare for the Grand Canyon trip. 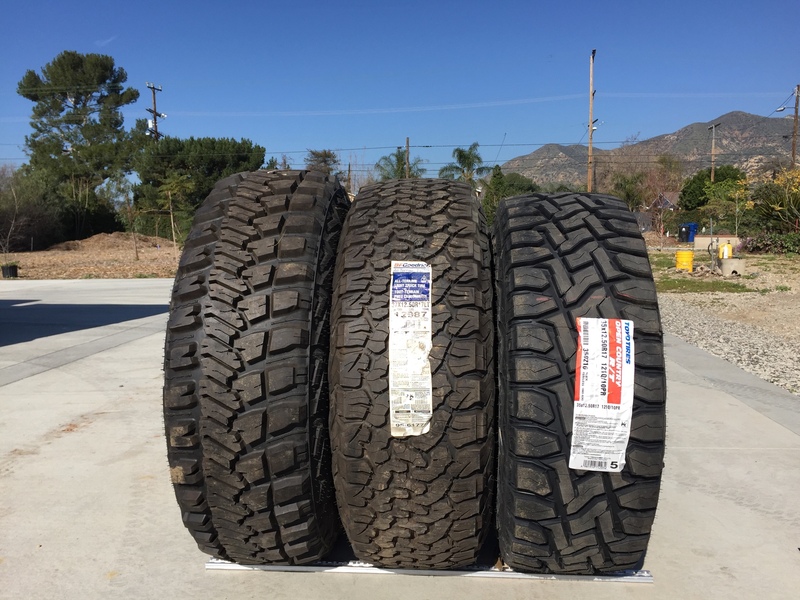 Even in the 35" flavor they run really true to size, had them on my ranger and I think they measured something like 34.75" on an 8" wheel. 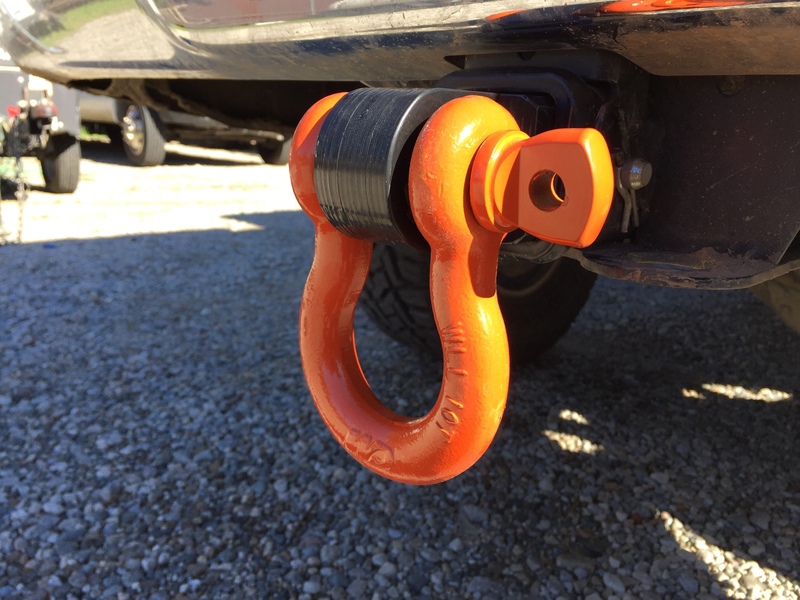 Not a big update, but I've been using a cheesy 2" Smittybuilt shackle mount with the reducer on it. It just bugged me running the reducer and I finally got around to ordering an appropriately sized 2.5" shackle mount. It's made by "Rigid Hitch" not a blingy as the Factor 55 but it says USA made, with a WLL of 10T, so I figured it must be good enough for the PW. 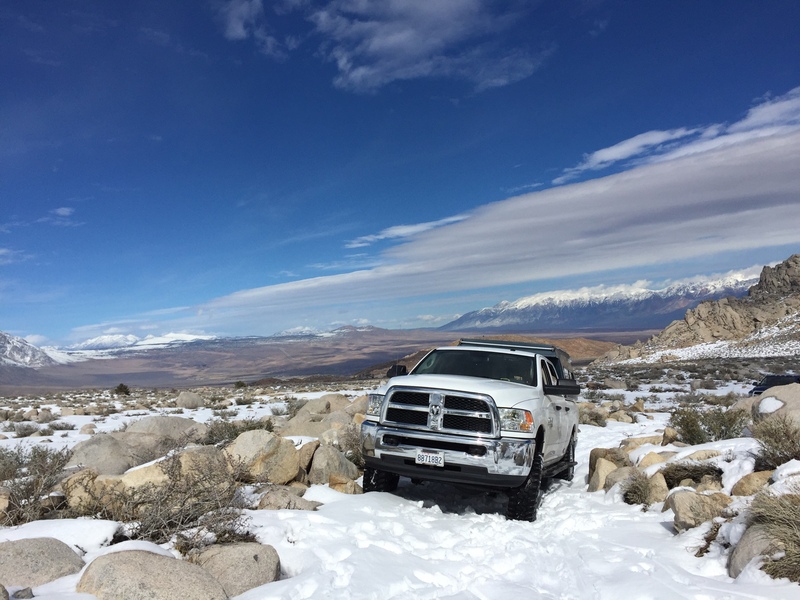 Been having fun with the truck lately, went on a snow run up to mammoth with a friend in his 2500 CTD, and then a day trip with my GF so she could get comfortable driving the truck off road. She's driven my prerunner in the past, and has a little bit of time off road in the PW but nothing too technical. She did pretty well! She's good at listening when I'm spotting and was getting the hang of when 4hi/4lo were appropriate. Last edited by yellowranger1 on Fri Mar 10, 2017 1:14 pm, edited 1 time in total. 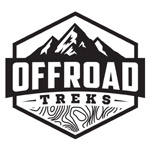 Starting to get ready for a trip to Moab and Canyonlands NP to run the White Rim Trail at the end of the month. Time for another oil change, and think I'm going to try AMSOIL this go around I stead of the Penzoil. 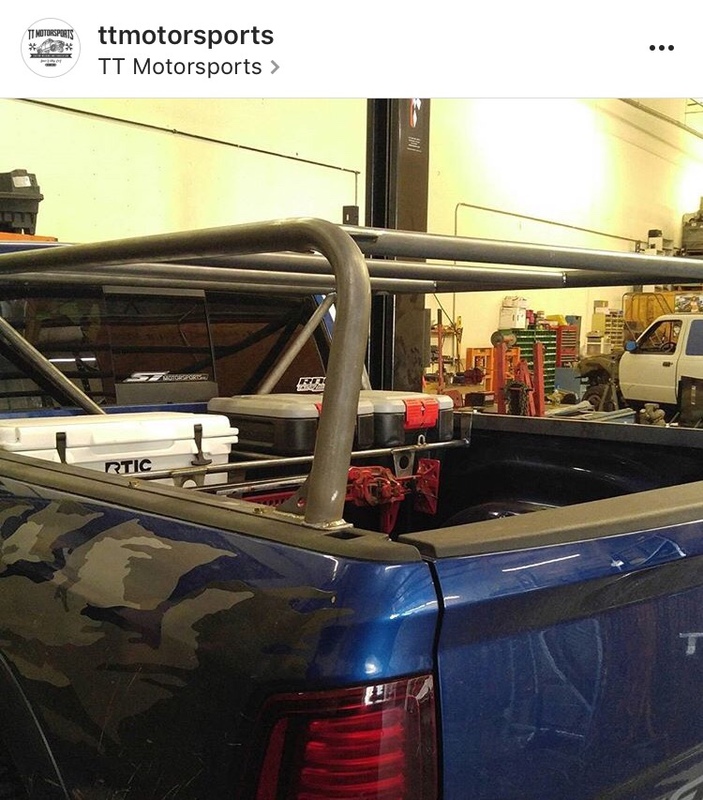 Also dropped the truck off at my friends shop to have the new RTT rack built, hoping to have it back this weekend. It's going to sit a bit taller unfortunately, but I'll be able to get underneath it to access cargo much easier. Planning to mount a few baja designs S2 lights for side, backup, and dust lights. Time for some Kings it's awesome when your other half is onboard with upgrades. And she drives! Lucky man. 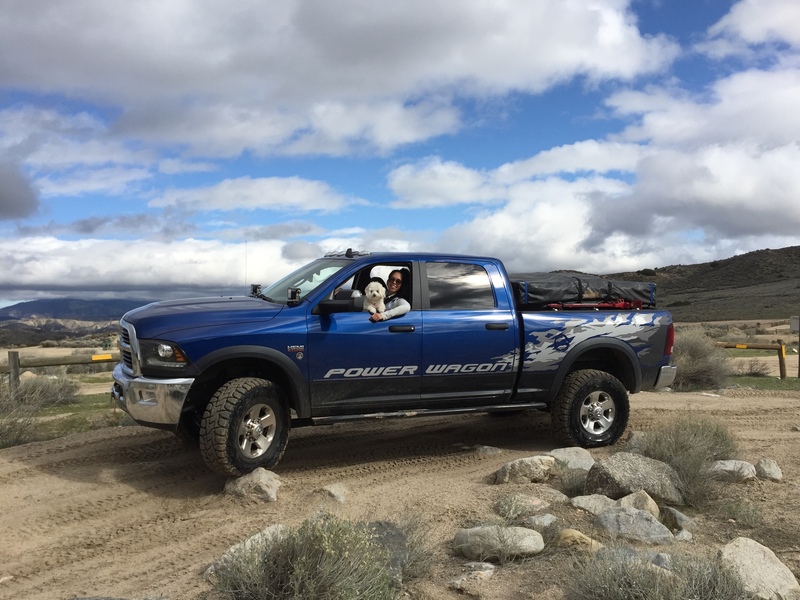 She was introduced to off roading in the prerunner, so she is used to not slowing down for bumps and holes lol. She's gotten used to the PW pace, and being able to take in the scenery instead of just blasting through it. 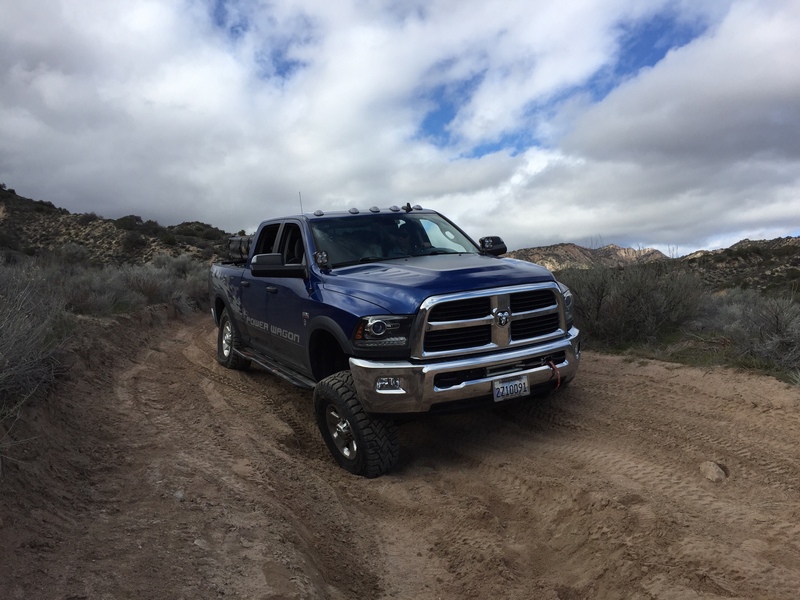 For reference, we've done Mojave Rd east to west in just a few hours, instead of a couple of days like a jeep would. I'm definitely lucky she's on board with upgrades and driving/camping in general! 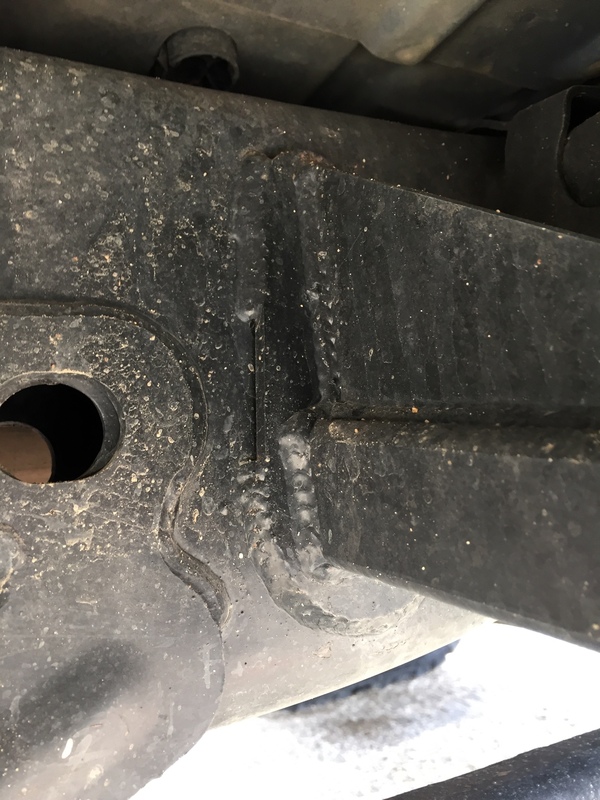 You're right on about the pin, no idea what they're rated for, but you're putting a lot of trust in a little Chinese pin anytime you hook up to a trailer or for a recovery. 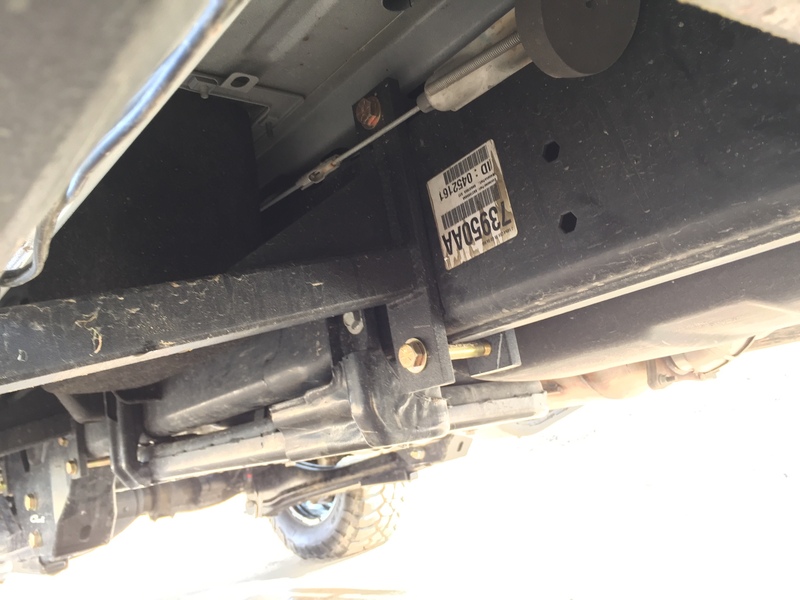 I want to pick up a locking pin for it, I have gr8 bolts that would fit and likely be stronger than the mystery metal pin, but that would make swapping out to a hitch or putting the shackle on another truck a pain. Prep for White Rim starts after work tomorrow. 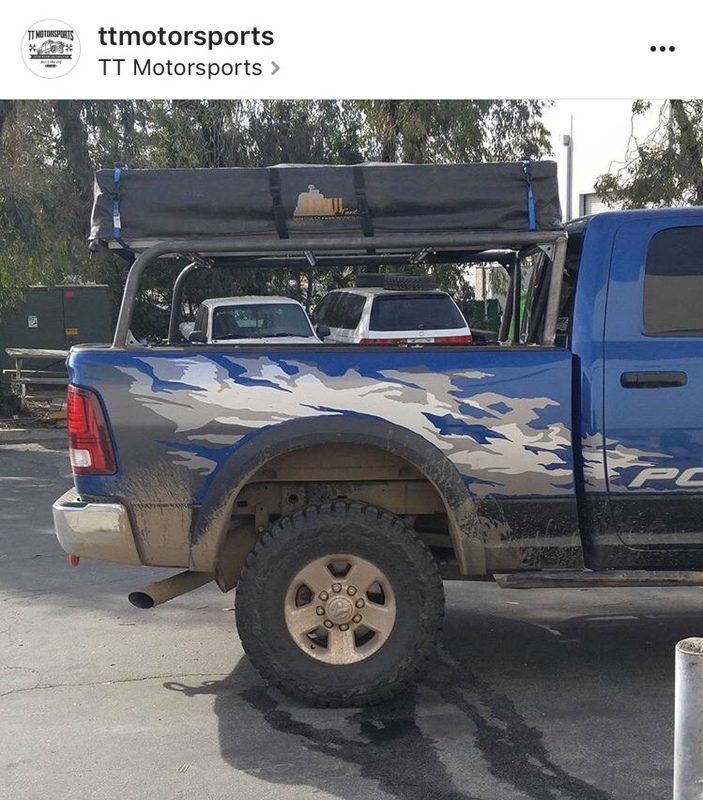 Got the truck back from TTMotorsports, new RTT rack built with a cooler/action packer/hi lift mount and some tabs for side/dust/backup lights and tab for radio antenna. Going to get a powder coat quote tomorrow, and then I can final mount everything this weekend. This thing is stout! Damn that looks killer. All the cool shops are in Cali. 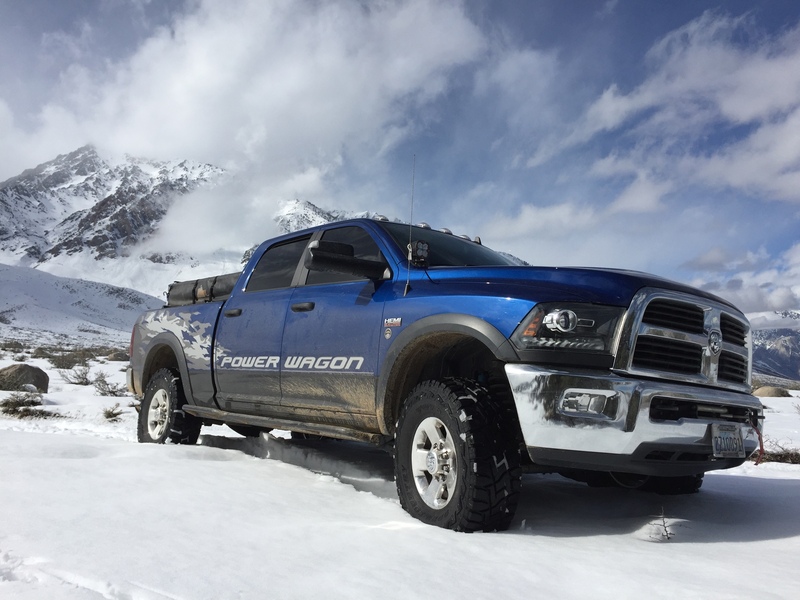 I need a place that can do the same for a Rambox truck. Thanks! I gave him a couple of pics I'd saved and he ran with that, just beefed up to hold the heavy tent. The small rack across the bed is removable as well, depending on the haul for the weekend or day to day use. He estimates weight at about 100 lbs, the tent is no featherweight, about 200 lbs. truck rides nice though! 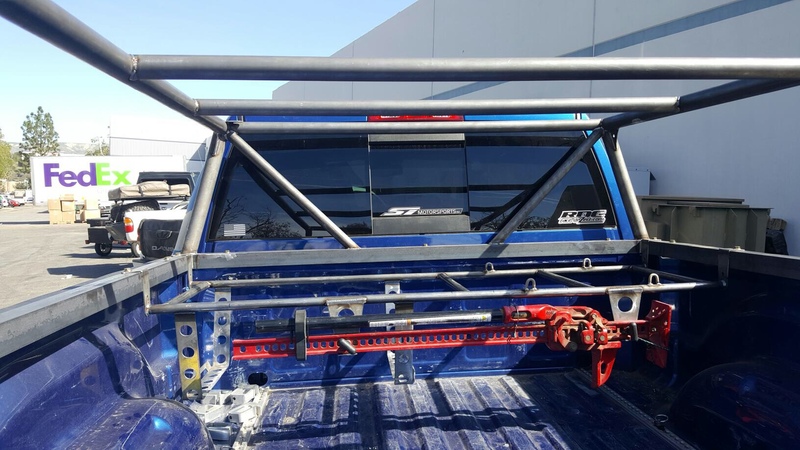 For reference, a friend had a Leitner designs rack on his 2500 before switching to a flippac, I believe that weighed somewhere in the mid 70lb range. Lookin good yellowranger1 great set of upgrades! Have you considered line-xing the bed before the paint's worn through and it starts to rust? coder wrote: Lookin good yellowranger1 great set of upgrades! Have you considered line-xing the bed before the paint's worn through and it starts to rust? Thank you! That was supposed to be the first thing done to the truck, but I keep kicking that can down the road lol. Luckily I'm not near the beach, so I'm not terribly worried about rust, but it's definitely getting line-x one of these days. Just gotta decide if I should spring for the Line X - standard or premium that supposedly resists fading. That sounds like a gimmick. What's the price delta?